The nation's capital welcomes its first three-starred restaurant. “Our inspectors are especially impressed with the consistency of the restaurant scene in D.C.,” says Michael Ellis, international director of the MICHELIN Guide, of the third installment of the MICHELIN Guide Washington, D.C. Released today, the 2019 guide includes three new star selections to the nation’s capital, including the first-ever three-starred restaurant for the area. 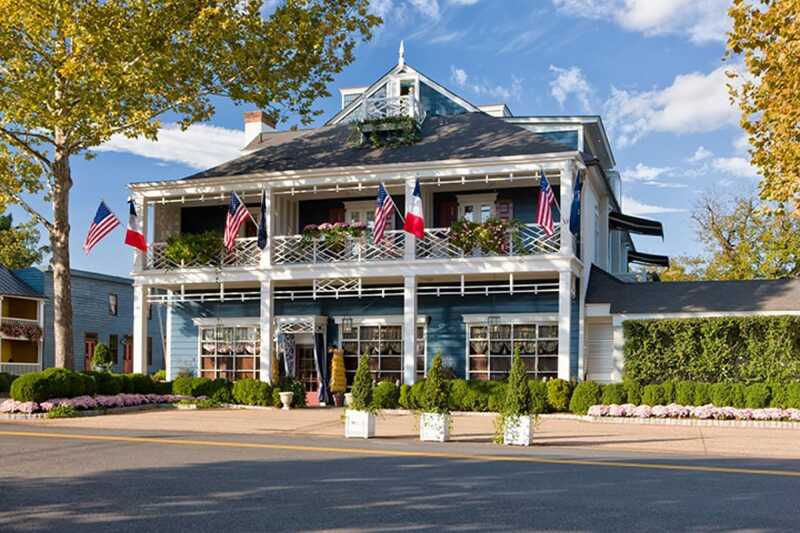 The Inn at Little Washington—which has been celebrating its 40th anniversary this year with a glorious number of events—has been elevated from two to three stars. Additionally, Bresca and Siren by RW have also been honored with one-star awards for the first time. Bresca, led by chef Ryan Ratino, opened last fall. The cozy, stylishly-designed neighborhood spot offers well-executed and creative fare made with high-quality ingredients. Ratino’s clever use of ingredients and fine technique never get in the way of approachability and flavor. Robert Wiedmaier’s Siren by RW opened in the Darcy Hotel in April of last year; the kitchen sources impeccable seafood and prepares it with surprising finesse on a level that warrants a star. The restaurants of well-respected chefs José Andrés (minibar) and Aaron Silverman (Pineapple and Pearls) have maintained their two-star status in the third edition. The two-star distinction recognizes restaurants that signify to travelers a destination that is worth a detour. Also of note are the talented teams at Fiola, The Dabney, Kinship and the rest of the 11 total restaurants that maintained their remarkable one-star status from the 2018 edition. Blue Duck Tavern has undergone a series of kitchen changes in the last two years—the wood-burning oven, seasonal menu and local sourcing continue to be a focus of the kitchen. The 2019 MICHELIN Guide Washington, D.C., features over 36 styles of cuisine and recognizes more than 70 restaurants with the Plate symbol, a designation given to restaurants that inspectors recommend to travelers and locals for a good meal with fresh ingredients and capable preparation. The MICHELIN Guide comprises a selection of restaurants, not merely a listing. Congratulations to all restaurants in the MICHELIN Guide Washington, D.C. 2019. View the full list of starred restaurants below.